We love bringing the roots of traditional yoga to life for timeless application in the modern world, while delivering engaging classes for all levels. Enjoy two spacious studios with curved walls, hardwood floors, salt chrystal lamps and inspiring decor, including a fireplace and water wall in our hot room. As a teaching community, we are extremely dedicated to the path and practice of yoga, and passionate about sharing it with others. We look forward to this journey with you! Welcoming SPRING! The big melt is here, creating fertile ground for spring newness to arise from. 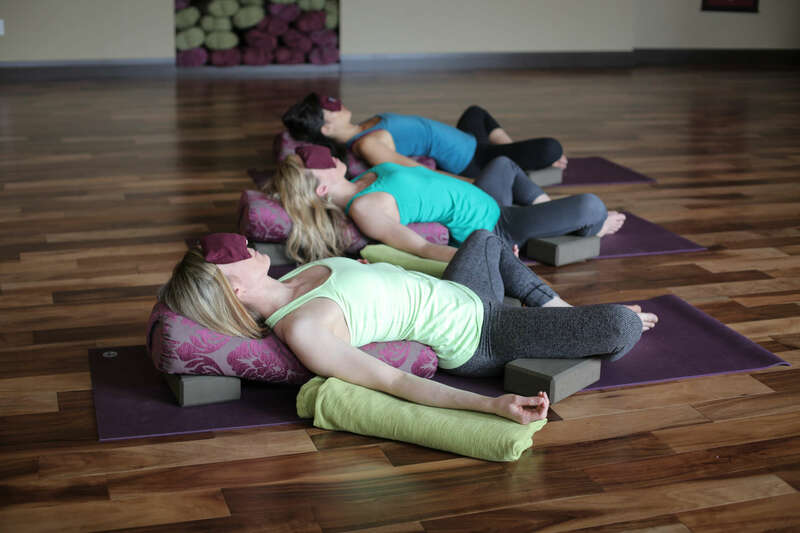 Harness the vitality of Spring with breath-centered uplifting flow yoga! Practicing yoga once per week is amazing, two times per week, twice as good… three or more times per week is magic, creating lasting transformation that inspires a lifelong yoga practice. Learn ancient yogic secrets for longevity, joint health, vitality & the evolution of your home practice on and off the mat. By incorporating dinacharya (daily yogic routines) and ayurveda, yoga becomes a way of being and a way of living, seamless with all aspects of modern tasks and responsibilities. Organic changes and steady transformation are the fruits of simple application of yoga practices. Learn the art of balancing strength with flexibility to keep your joints healthy, preventing overuse injuries for a lifelong yoga practice. This training counts as 25 hours towards Yoga Alliance Continuing Education Upgrades. It is also a core module for the Prana 300 Yoga Teacher Training. 30 days of unlimited yoga for $49! Sample our vast array of inspiring yoga classes from basic beginner to dynamic flow classes in our warm, hot or standard temperature rooms. Discover how much you can change in 30 days, while feeling amazing after each and every yoga class. Complete our New Student Challenge, and get your first month of membership half price! 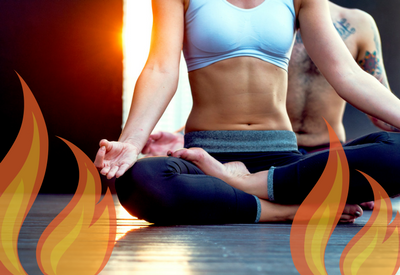 Melt away stress and steam your body open with hot yoga! In our hot room, far infrared heat panels and a high capacity humidifier create the optimal environment to stretch in.As your body absorbs infrared waves, molecules begin to vibrate, causing them to expel toxins, fat and impurities from your cells into your blood stream, released from your body in the form of sweat. This works in synergy with the yoga exercises, resulting in a deep cleansing effect at a cellular level. Burning to share what you love about yoga with others? If you have a passion for yoga and for exploring the deeper questions of life, if you love to grow and learn, if you are ready to take your practice or teaching to the next level and/or ready to share your passion for yoga with others, this course may be your next step! We are now offering both 200 & 300 hour programs, an 85 hour pre-natal YTT, and many specialty trainings. 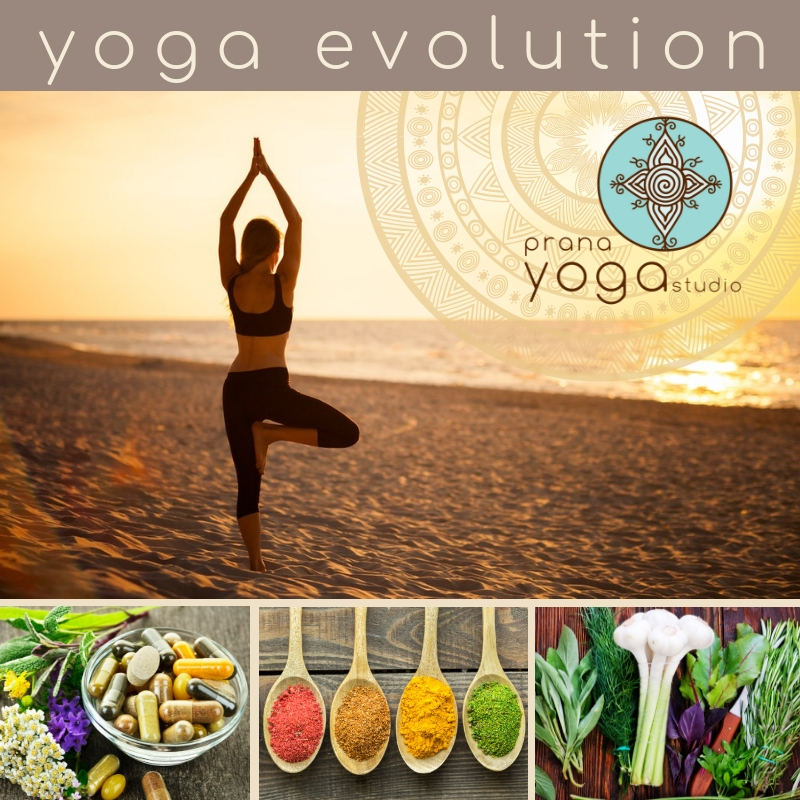 Hatha Beginner Yoga, Therapeutic Yoga, Prenatal Yoga, Mom & Baby Yoga, Kids Yoga, Teen Yoga, Yoga BellyDance Fusion, Healing Breath Therapy & more! Prefer to drop in? We have more classes than ever to choose from! The peaceful atmosphere & condition of the studio are supreme. I am awed by the tasteful decor, fresh flowers, lighting, music as well as the waterfall feature in the rear studio. The caliber of instructors is excellent. I appreciate that they introduce themselves at each class & remind participants to listen to their own bodies primarily. The reception staff are well trained, friendly & welcoming. Amazing! 39 five star reviews:) No wonder they won the Top Choice Award... Keep up the great work Prana Yoga Studio! Gorgeous facilities with amazing staff! Everything is well kept and professional. They also do classes for kids in another room designated as the regular temperature room whilst the other is a hot yoga studio. Great place to unwind and sweat your stress away! Prana Yoga is one of the most beautiful Yoga studios I have ever been to. The energy is warm and friendly and you are instantly transported to a sacred temple space. All of the instructors are top notch and truly dedicated to their practice. Go check it out! By far the best yoga studio in Edmonton. Besides the beautiful space and clean setting, the entire staff here is the friendliest. Each teacher is extremely accommodating to any of your needs or concerns. You can tell everyone here loves their work and it comes off in their teachings. Hands down the best yoga studio my husband and I have had the pleasure of finding here in edmonton. Highly recommend.